How Plant Stem Cells Work in Organic Skincare! As we age, our skin cells age too. Looking for a solution to younger looking skin? Plant stem cells could be the answer. Read on to learn how plant stem cells could save your skin! It’s a fact of life that as we age, our skin cells age with us. This means that over time our skin’s stem cells become damaged and don’t react as well to environmental stressors. Skin may begin to look tired, dull and even dry or dehydrated. You might also notice that your skin isn’t as luminous as it once was and fine lines and wrinkles start to appear. This could all seem a little bit depressing, but it doesn’t have to be! With some of the latest natural skin care innovation coming from stem cells derived from plants! Plant stem cells are the selected and reproduced stem cells that contain all the benefits of whichever plant they were derived from1. Studies have shown them to have the ability to self-renew and avoid the ageing process. This means they can continue to grow and transform even under the harshest of conditions or environmental stressors2. How are plant stem cells different to skin stem cells? 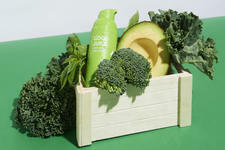 How can plant stem cells save your skin? What plants can stem cells be derived from? Gotu Kola stem cells: Gotu Kola stem cells are often included in skincare for sensitive skin because they work to help reduce inflammation and the appearance of rosacea.1 These stem cells also help protect the skin’s capillary wall and retain hydration in the skin. Which brands are using plant stem cell technology best? 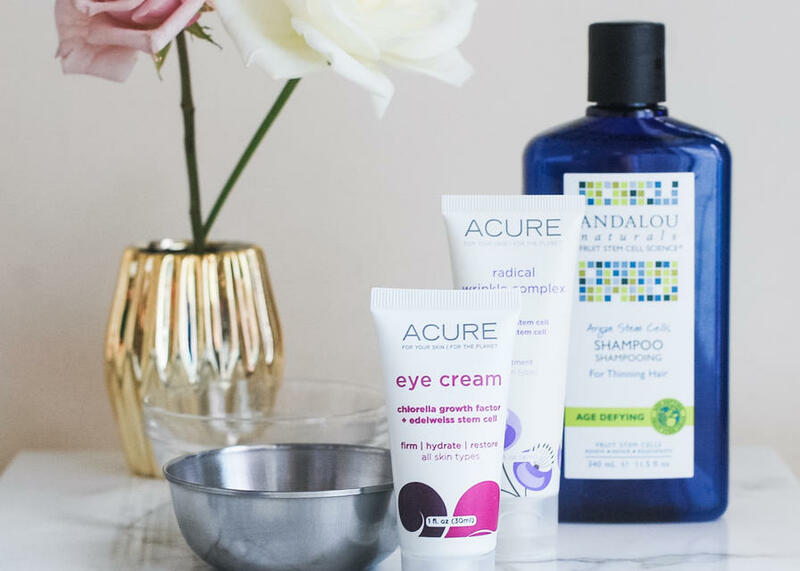 Andalou is a fantastic brand we stock here on Nourished Life that use clinically proven plant stem cells in all of their products which includes haircare and body lotions. The plant stem cells included in Andalou products were clinically tested in study2 which showed that 87% of participants saw an improvement in skin tone and illuminosity. 100% experienced an increase in hydration and 62% saw a decrease in fine lines and wrinkles. Results also showed that half of the participants saw a reduction in the depth of wrinkles and 87% saw an improvement in elasticity. Impressive! If you’re after a soothing body lotion that will improve the quality of your skin, then I suggest you try the Andalou 1000 Roses Soothing Body Lotion that uses the fruit stem cells from alpine roses, malus domestsica and solar vitis. Also using these beneficial stem cells is the Andalou Purple Carrot Luminous Night Cream which offers anti-ageing protection and luminous skin. For thinning hair, stem cells can also be used to reverse this ageing process. 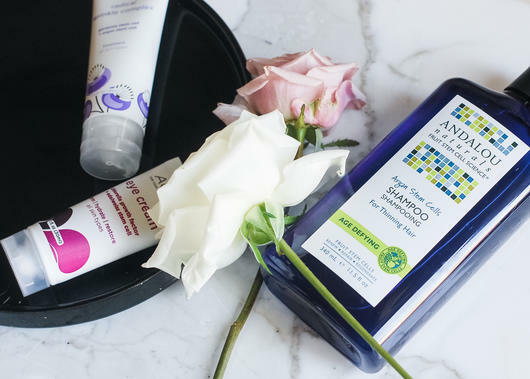 The Andalou Argan Stem Cells Age Defying Shampoo features the anti-ageing properties of argan stem cells to wash away toxins and declog blocked pores, allowing hair to grow back stronger.